Not only has NextNav has conducted extensive testing of its system in a variety of common environments, we've subjected our system to numerous 3rd-party test campaigns, side by side with other technologies. As we work to continually improve our system and extend our testing, check back for updated results. NextNav’s system is not based on equipment installed in individual venues, but rather on a long-range beacon network with a reach of many kilometers. Our system covers every building within our coverage footprint, and is not limited by the availability of building-specific equipment. By using real-time, proximity-based pressure differential measurements, NextNav has demonstrated vertical accuracy of 1 – 2m. For devices equipped with an optional, low-cost pressure sensor, this capability could save valuable time in an emergency response, in a social networking situation or provide critical context for marketing purposes. 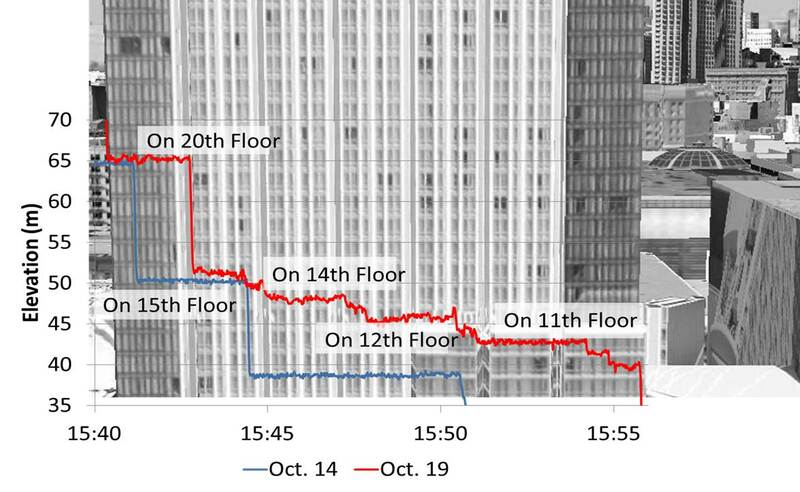 The following chart shows a tester with a device entering a structure, moving down the stairs and up an elevator. 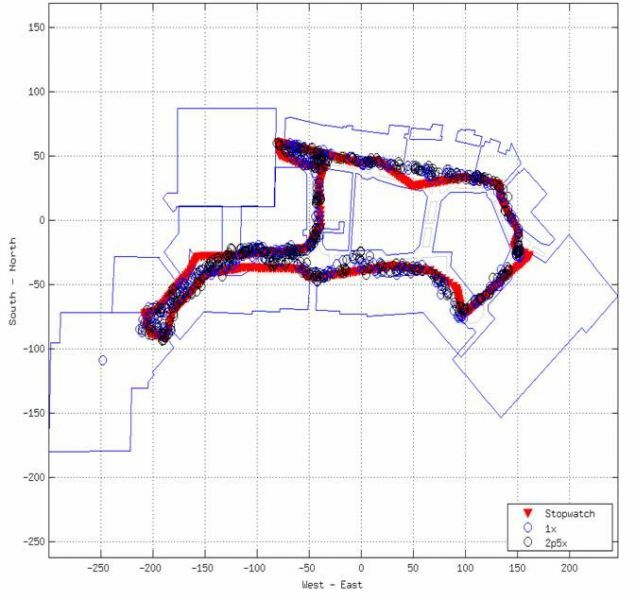 Results mapped against a multi-story building. NextNav’s system is designed to provide pervasive coverage across an entire market, and has a yield of over 99% in its network footprint. GPS is often available less than 50% of the time in these areas, and is virtually unavailable indoors.